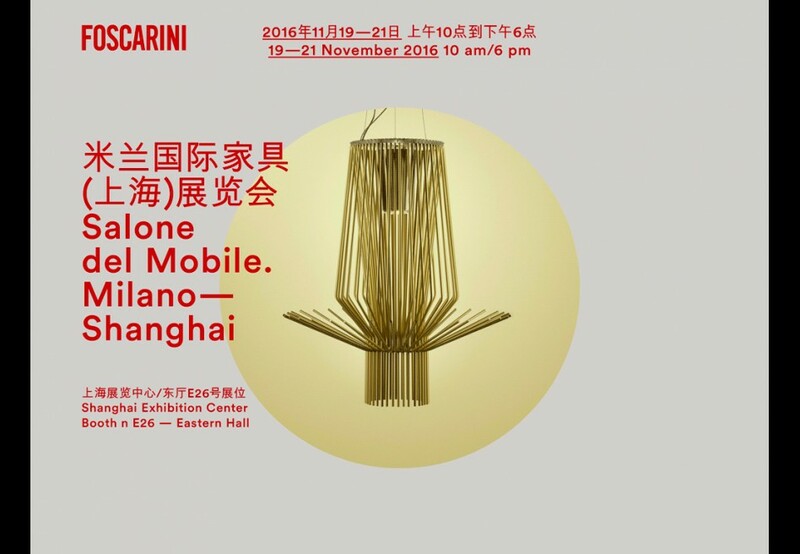 Foscarini will take part with its own booth (n E26-External Hall) at the Asiatic edition of Salone del Mobile.Milano in Shanghai – which will be held from 19 to 21 November 2016 at the Shanghai Exhibition Centre. 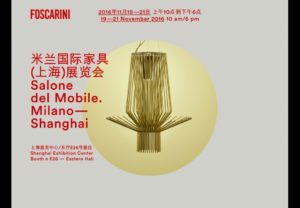 The Italian company, famous manufacturing of design light solution will be present with a space designed by Ferruccio Laviani which aims to express the personality of Foscarini collection. The company’s participation to this new event confirms its growing interest on the Asian market, on which the society has been working for several years with increasing incisiveness and an articulated strategy.